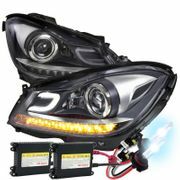 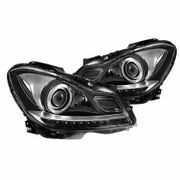 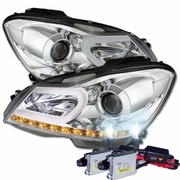 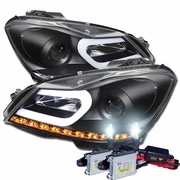 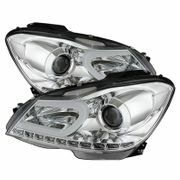 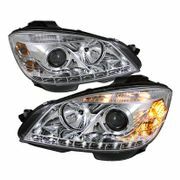 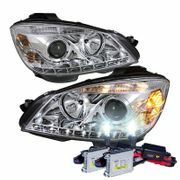 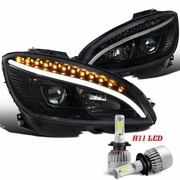 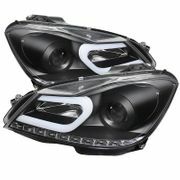 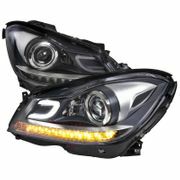 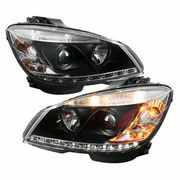 2008-2014 Mercedes Benz C-Class Euro style projector headlights. 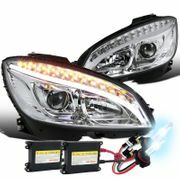 Featuring ultra-bright LED Day Time Running Light. 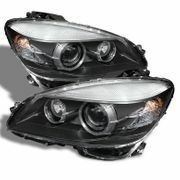 A direct replacement of the OEM factory headlights. We ensure high quality and precise fitment. 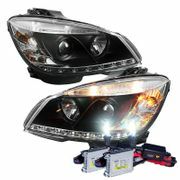 100% Brand new in box, Completed Set Included Left and Right side. 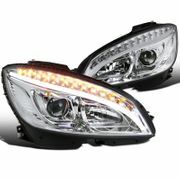 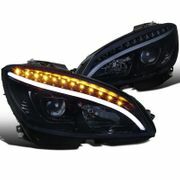 Made by OEM Approved Manufacturers With Quality Meet. 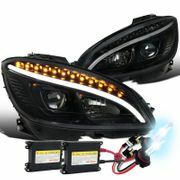 Direct Replacement, professional installations are always recommended for those who are not familiar with the product.